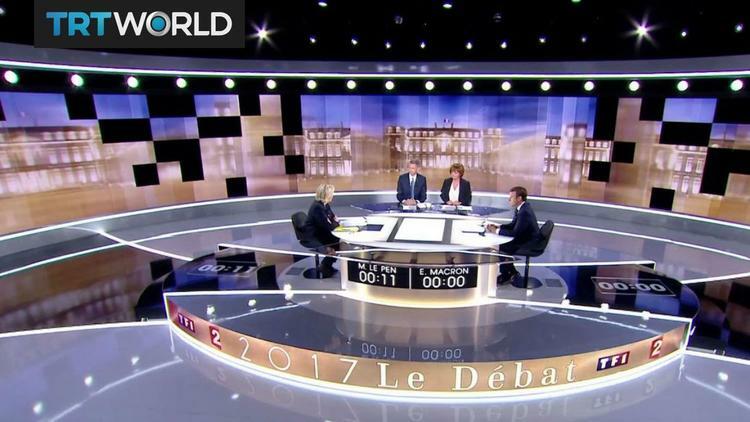 TeleSUR spoke with two French voters to discuss Sunday’s second-round presidential election in France and lesser evil voting. French voters are confronted with a difficult choice on Sunday’s runoff presidential election: Emmanuel Macron, a neoliberal former investment banker who served as an economy minister in the current — and historically unpopular — government, and the leader of the far-right, xenophobic, anti-EU National Front Marine Le Pen. Facing the National Front leader was supposed to make Macron’s victory easier, but the candidate’s arrogance and tactical mistakes have dangerously boosted voters’ intentions to abstain. On Tuesday, an internal poll of supporters of defeated far-left firebrand Jean-Luc Melenchon showed that just over 65 percent will either spoil their ballots or stay at home. Communist-backed Melenchon, who leads the "France Insoumise," or Unbowed France movement, won more than 7 million votes as he finished fourth in the election’s first round on April 23. While the French mainstream media and political elites have started a campaign shaming leftists for allegedly paving the way to the election of Le Pen, teleSUR contacted two of them in a bid to better understand the political landscape. Diane Scott, editor-in-chief of Incise magazine, voted for the Anti-Capitalist Party’s candidate Philippe Poutou in the first round, although she claims to be “happy” with Melenchon’s good score. She said she refuses to choose between the two candidates and has decided to abstain on Sunday. She recently explained her decision in an article published by Mediapart. Olivier Tonneau, lecturer in modern languages at Homerton College, is a member of Melenchon’s "Parti de Gauche," or Left Party, and the People’s Assembly Against Austerity. After destroying the arguments shaming abstention in articles for Mediapart and The Guardian, he confessed that he will eventually vote for Macron on Sunday, because he fears that Macron’s mistakes will end up electing Le Pen. “The priority is to fight the far-right vote on the long term, and understand people who would rather abstain,” he told teleSUR. 2. Macron participated in a government responsible for human rights abuses and undermining democracy. She also recalled the killing of an environmental activist by the military police and the numerous cases of Black or Arab citizens killed or raped by police officers while the Socialist Party government of Francois Hollande was in power. Hollande also repeatedly resorted to using executive orders and a constitutional article in order to bypass a parliamentary vote to ram through unpopular laws, while the state of emergency — prolonged several times— justified violent police raids in peaceful Muslim homes, and even the house arrest of dozens of environmental activists across the country. “I don’t underestimate the threat (of a National Front government)," said Scott, but she added that the Hollande government has crossed the line multiples times in ways that undermined democracy and Macron represents a continuation of this. Tonneau, like Scott, pointed out that Macron has already announced he will not hesitate to resort to executive orders if elected. Macron also insisted that he wanted voters to support him only if they supported his program — a dangerous strategy that alienated potential leftist voters ahead of the May 7 vote. Melenchon himself was victim of this hateful shaming after he refused to tell his supporters to vote for Macron against Le Pen, like he did in 2002 when he encouraged them to vote for the incumbent President Jacques Chirac in order to block Jean-Marie Le Pen’s election. But 15 years later, noted Scott, the scenario is quite different: while the 2002 results shocked everyone, this time the traditional parties and mainstream media prepared and expected a secured victory against the far right. This argument was shockingly evidenced by Macron’s triumphant celebration of the first round’s results in a fancy restaurant of Paris, yet with less than a quarter of support, already taking for granted the anti-Le Pen vote in his favor for the second round. The strategic “anti-Le Pen vote” is meaningless, argues Scott, because Le Pen is part of the strategy of the mainstream parties to keep power and carry out their neoliberal agenda. Macron, a former investment banker at Rothschild, may not be officially part of such parties, but he inspired most of the economic policies of the socialist government. “The finance world does not even make the effort to produce politicians but seeks them out straight at the source,” said Scott. As for Tonneau, what causes the surge of the far right across the world is not the abstention of leftist voters, but the “dictatorship of the finance world,” which Macron represents. Moreover, if Melenchon had ordered support for Macron, he would have likely lost a lot of support among the Unbowed militants, as they refuse to “bow” to the system. “We are not your sweeper-car, picking up the trash behind you as you are destroying society little by little,” said Tonneau. 4. Why not shame right-wing voters who will vote for Le Pen? Last but not least, Macron makes no effort to woo potential left-wing votes. He affirmed that he will not change his program, nor negotiate with other candidates in a bid to appeal to the three-quarters of French people who did not vote for him on April 23. One must ask themselves why this vote shaming campaign has only be directed at the leftist voters, and not to supporters of conservative Francois Fillon (20 percent in the first round) who will either abstain (26 percent of them, according to an Ifop survey released Tuesday) or vote for Le Pen (30 percent). Meanwhile, the same voices do not seem to have any interest in convincing Le Pen’s core supporters to change their minds. Melenchon’s political movement, however, managed to convince abstentionists and National Front voters more than any other party, reflected by an astonishing 9-point surge in the polls in less than a month before the first round, recalled Tonneau. Voters abandoned by the Socialist Party — like the working class, the youth and the generations of French immigrants living in the marginalized suburbs — voted for Melenchon instead of an expected blank vote or a Le Pen vote, according to various studies.